Colby Morris | Middlebury College | P – Colby got off to a hot start for the Panthers, earning the team’s first Win of the season with a dominant performance against Bard. Over 6 IP, Morris held the Raptors scoreless, giving up only 2 Hits while collecting 9 K’s. Alex Fernandez | Academy of Art University | P – Fernandez has been a force on the bump for the Urban Knights this season, and his two showings in March so far have been no different. In matchups against Concordia, Irvine and Dixie State, Alex had a collective 11.2 IP, 10 K’s, and 1 W while giving up only 2 ER. On the season, Fernandez is 2-1 with a 2.93 ERA over 30.2 IP. 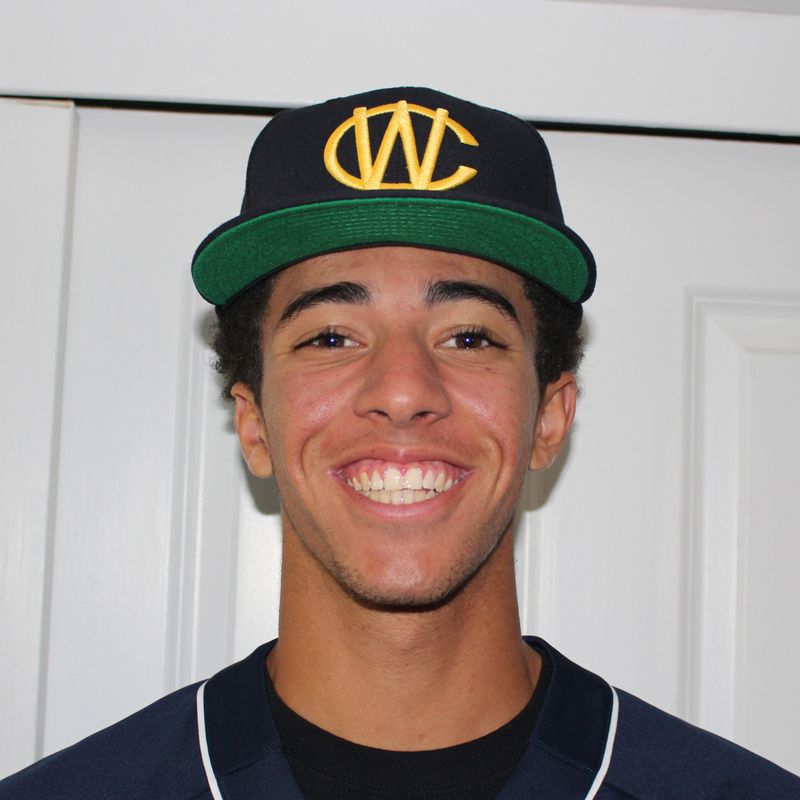 Adam Hussain | College of Marin | OF – Adam has continued to be a reliable presence in the heart of the COM lineup this month, collecting Hits in each of the Mariners’ three wins. Across the three games, Hussain went 3 for 9 while adding an extra 4 BB’s to the mix, driving in 4 RBI, scoring 5 Runs, and driving 1 HR. 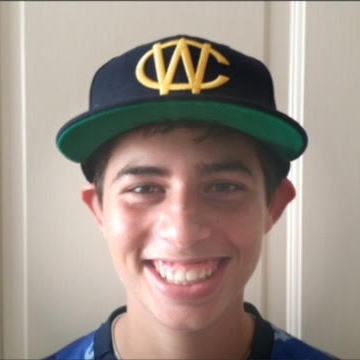 Nick Simonian | University of Illinois Chicago | P – In his first start of the season, Simonian managed to hold the Roosevelt Lakers at bay, tossing 4 Innings while giving up 0 Runs and collecting 4 K’s. The effort saw Nick leave the game with the lead, and eventually the Flames came around to win the game. Elijah Smith | Academy of Art University | 2B / SS – Not to be outdone by his teammate at Academy of Art, Smith is working on a 10-game hitting streak during which time he has gone 13 for 39 with 6 Runs scored, 2 RBI, 2 Triples, and 2 Stolen Bases. Kevin Whitaker | Laney College | UTIL: Kevin has been on an absolute tear this season, collecting hits in every game so far except the season opener. He is currently running a 14-game hitting streak and is putting up some serious numbers along the way. Over 67 ABs, Whitaker has put together a .373 AVG / .394 OBP / .507 SLG triple-slash to go along with 9 RBI, 13 Runs, 7 Doubles, and 5 SB. CJ Novogradac | Claremont McKenna | OF: Hitting out of the 5-hole for the Stags, CJ has also been turning out a very solid season. Over the last week, he went 6 for 10 with 4 Runs scored, 2 RBI, 2 Doubles, and a HR on his way to keeping his season average at .400. Hance Smith | Santa Rosa JC | 2B: Smith is showing himself to be one of the most reliable hitters in the SRJC lineup, tagging opposing pitchers to the tune of a .322 AVG with 10 RBI, 16 Runs, and 4 HR. Joe Ryan | Cal State Stanislaus | P: Joe has availed himself well on the hill so far this season for the Stanislaus Warriors, earning himself a 1.91 ERA over 33 IP with 3 Wins, 1 Loss, and 43 K’s so far. In a matchup against San Francisco State, Joe tossed 8 Innings of shutout ball in which he collected the Win and struck out 10 batters. Lucas Erceg | Milwaukee Brewers | 3B: Listed on the Milwaukee Brewers website as the organization’s #4 prospect, Erceg has played his way onto the Spring Training roster with the Brewers. So far this spring, Lucas has gone 2 for 4 to follow a productive 2017 season at the Class A Advanced level in which he collected 33 Doubles, 15 HR, and a Carolina League-leading 81 RBI. Matt Ladrech | UC Berkeley | P: Senior pitcher, Matt Ladrech is a key part of what looks to be a strong 2018 CAL Bears roster. He lived up to the expectations as CAL swept Cal State Bakersfield to open the season and Ladrech tossed 7 IP in his start while striking out 2, giving up 1 ER, and earning the Win. Mason Collins | Chapman University | P: Mason has made an impact on the bump for the Panthers this season, earning a Win over 7.1 IP while striking out 5 and maintaining a low 2.45 ERA. Joe Jimenez | Chapman University | C: A sophomore at Chapman who returned to the California Warriors to coach during the 2017 summer, Joe has made the most of his time on the diamond this year. Over 9 Plate Appearances, Joe has 4 BB’s and a HR while scoring twice and driving in 2 RBI on his way to a .200 AVG / .556 OBP / .800 SLG triple-slash. Alex Davis | College of Marin | SS: Alex has been one of the most productive hitters in the Mariners lineup so far this season, dismantling opposing pitching to the tune of .408 AVG / .508 OBP / .510 SLG over 49 AB’s. To complement those numbers, the Sophomore shortstop has 7 Runs, 8 RBI, and 5 SB, making him a force in the heart of the lineup. Nick Roth | College of Marin | P: On the hill for the COM Mariners, Roth has been as steady as anybody, tossing 9.2 Innings of lights-out ball in relief. Nick has converted all of his Save opportunities this season – he has tallied 4 so far – and has 10 K’s and a 1.86 ERA to his name. 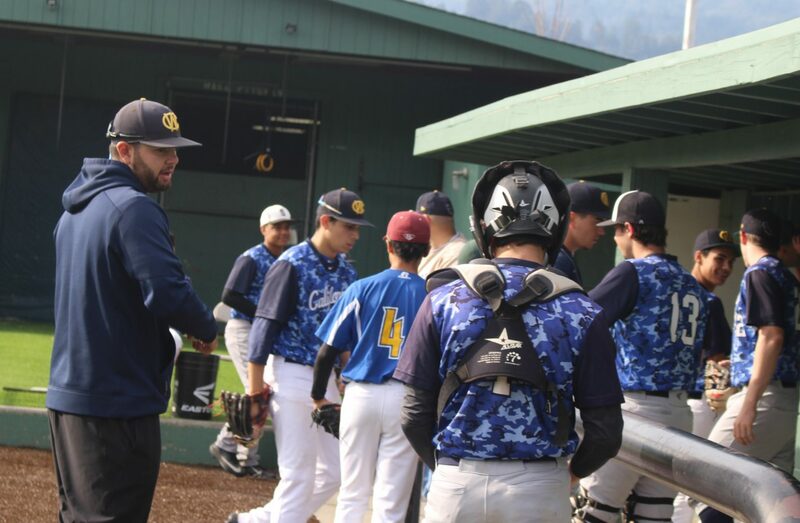 We are very proud to see how well the California Warriors baseball program prepares high school student athletes to play at the college level. 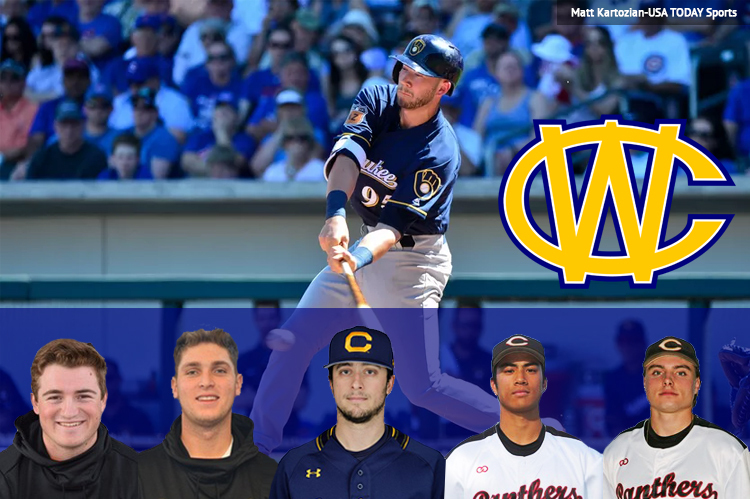 The 2018 College of Marin baseball roster includes 7 California Warriors Alumni, 2 of whom are freshmen. 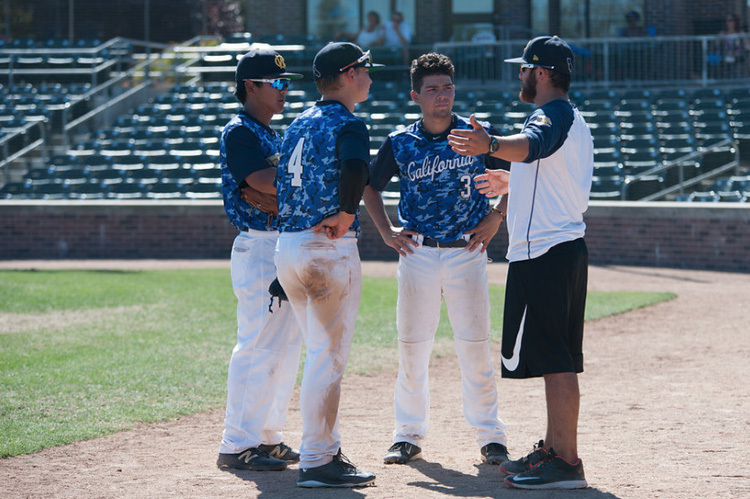 The California Warriors summer baseball program focuses on helping players be prepared and ready to take the field on a college team. We are happy to be a part of College of Marin’s success in the 2018 season. 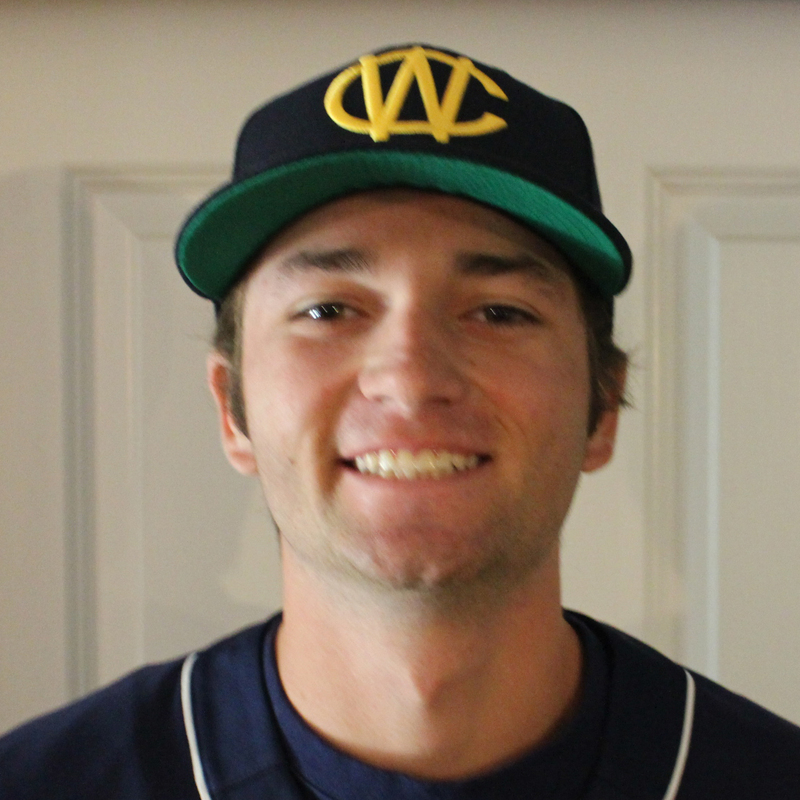 Along with the 7 California Warriors Alumni who play on the College of Marin baseball team, Ryan Burke (California Warriors Director of Baseball Operations) is the COM Assistant Coach under Head Coach Steve Berringer. Despite the fact that their home field is under construction and they are playing on the road this year, the Mariners are off to a great start with a 4-2 record to open the season. Over the first 6 games of the season, the Mariners have scored an astounding 55 Runs, averaging over 9 Runs per game. 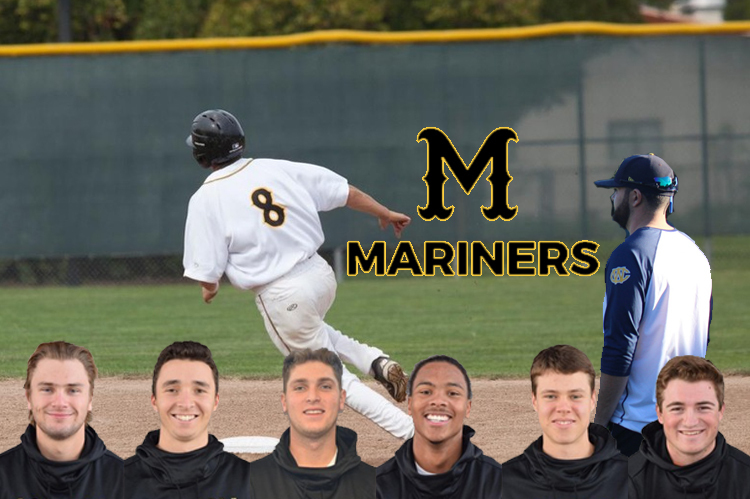 The list of California Warriors players who are currently in the dominant College of Marin lineup include: Davis Barkocy (.429 AVG), Dominic Burke (.227 AVG, 4 Runs, 5 RBI), Alex Davis (.458 AVG, 6 Runs, 6 RBI, 4 SB), Owen Hamilton (.333 AVG, 6 Runs), Adam Hussain (.545 AVG, 6 Runs, 5 RBi, 2 SB), and Christian Merriwether (.304 AVG, 7 Runs, 4 RBi, 2 SB) have all been major contributors at the plate. Dominic Burke (1-1, 3.09 ERA, 11.2 IP), Owen Hamilton (3 IP, 3.00 ERA), and Nick Roth (1 SV, 3 IP, 5 K, 3.00 ERA) have played a significant role as pitchers in keeping COM in the win column. See the COM schedule here. 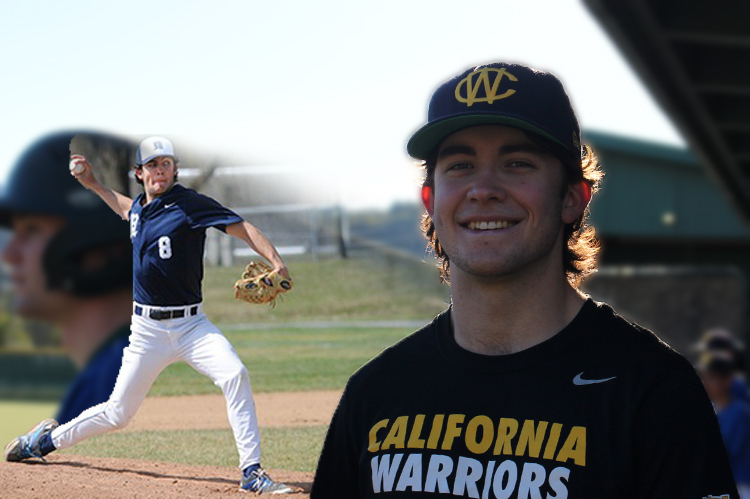 There are many California Warriors Alumni playing at universities and colleges throughout the country. Please visit the California Warriors Alumni page to see how well our alumni are represented throughout the country. 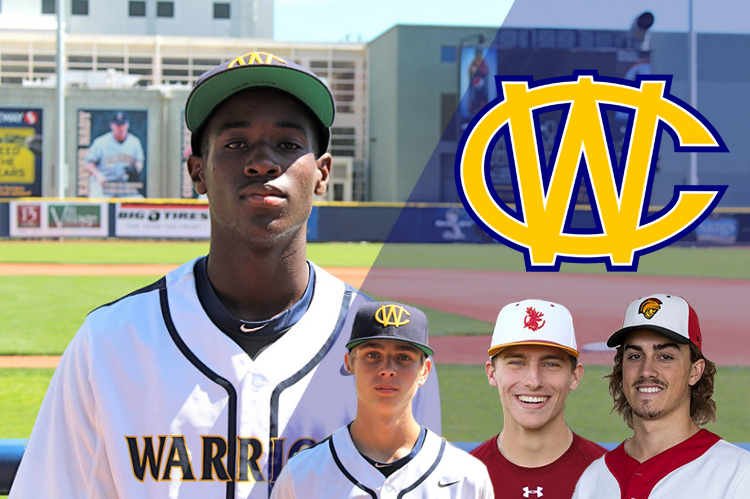 As the baseball season continues, we will keep you updated on the college baseball careers of the student athletes who played for the California Warriors. 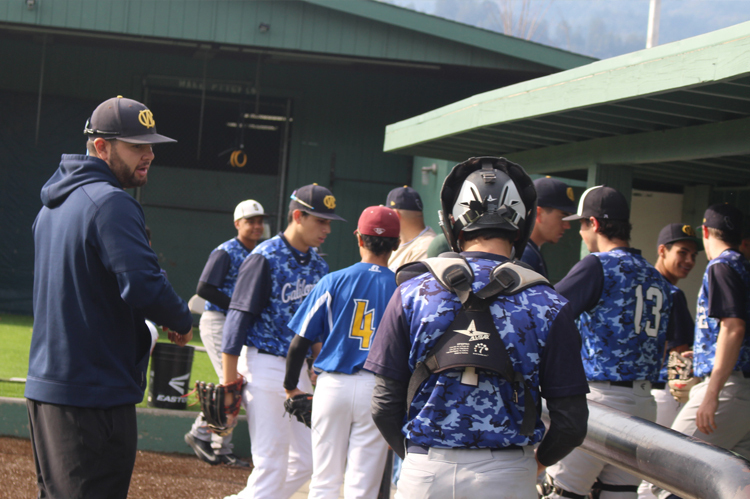 Don’t forget, the home opener for UC Berkeley – where First Base Foundation & California Warriors Founder Noah Jackson coaches – is Friday, February 23! See the full schedule here. Staying in good baseball shape during the offseason can be tough without a plan. 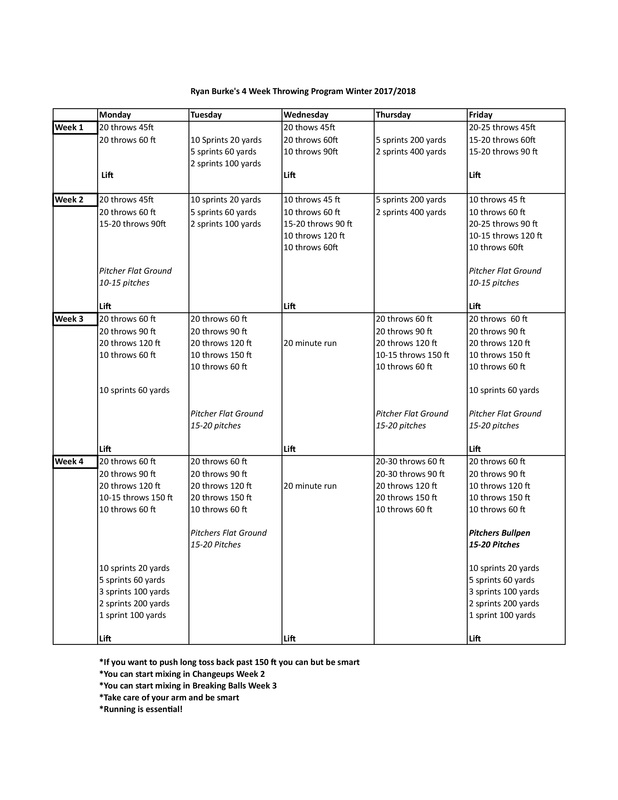 California Warriors Director of Baseball Operations Ryan Burke (also a coach at College of Marin) has put together a 4-week long program to regain arm strength so you can hit the ground running when spring comes along. 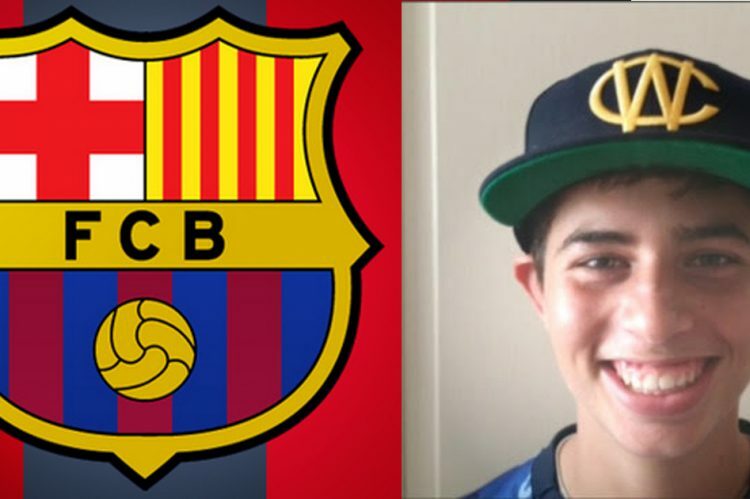 Congrats to California Warriors player, Jake Himelstein on being accepted into the prestigious FC Barcelona Residential Academy in Arizona. Jake is now affiliated with one of the world’s top soccer teams, and we wish him the best going forward! Click here for the full article. 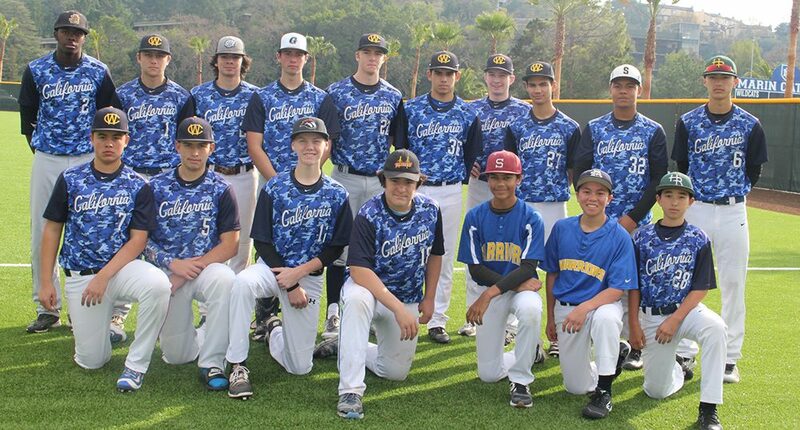 A great group of student athletes showed up to play for the California Warriors Winter Baseball Program this past Saturday. Our players came from 15 different high schools from around the Bay Area. The first week was a time to meet one another and begin to form a team. Everyone brought with them a love of the game and desire to play hard and to learn more about their positions. It is an eclectic group of ages and skill levels. Coach Burke did an excellent job of managing new players and evaluating their strengths. In two hours he was able to rotate all players into the game so everyone had a chance to play. Sergio Mendoza was in the dugout sharing his baseball wisdom and positive personality as he was an invaluable volunteer this past summer. Visit our Flickr account to see all Winter Ball photos. The California Warriors would like to congratulate their three players who signed Division 1 National Letters of Intent last week to continue their academic and athletic careers. 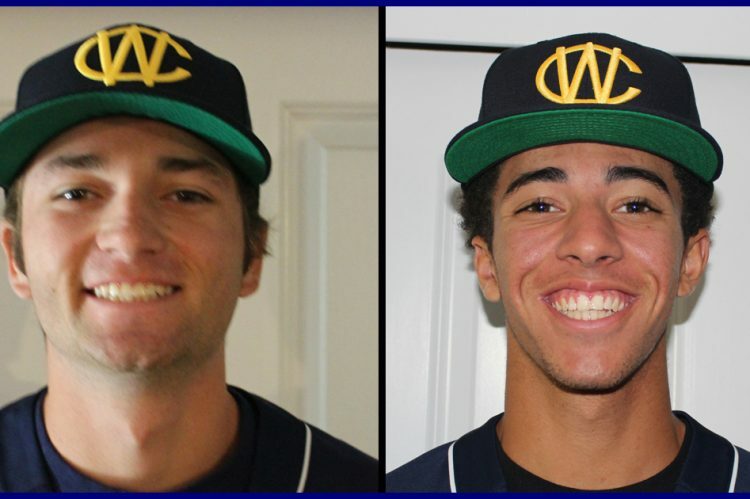 Matthew Calhoun (Santa Clara University), Martin Cole (Niagara University) and Dylan Pottsgeiser (University of Pacific) all earned baseball scholarships while being noticed playing for the California Warriors 17u Elite team this past summer. 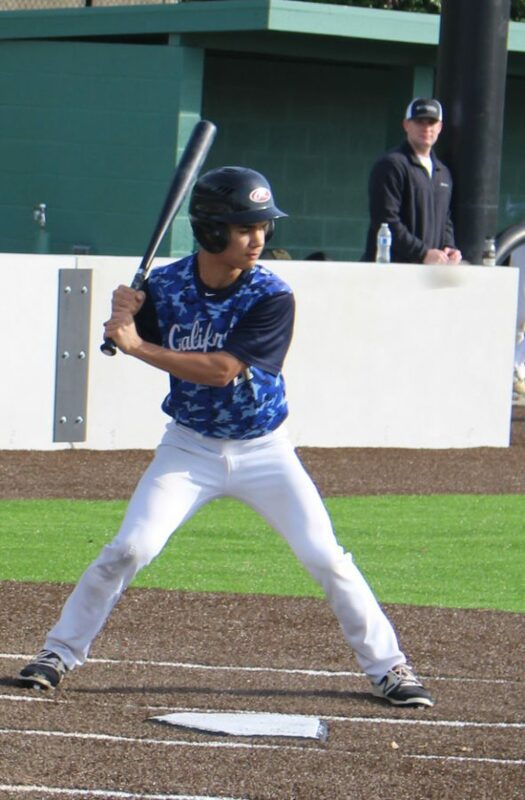 Calhoun, who led Archbishop Riordan HS team as a junior in batting average (.321), hits (27), and stolen bases (14), was the primary short stop for 17u Elite over the summer. What caught the eyes of scouts most was his exceptional defense and energy he brought to the game. Calhoun also impressed producing runs in the middle of the order and creating runs on the bases with his speed. Calhoun’s tools will give him a good chance to earn playing time as a freshman at Santa Clara next year. As a junior at Sacred Heart Prep, Cole was both dominant on the mound (6-2, 2.68 ERA) as he was at the plate and in the field. Throughout the summer Cole played all four infield spots while also helping on the mound and hitting at the top of the order. Cole’s left handed bat stood out all summer as he was consistently on base and driving in runs. Cole will be an instant contributor when he joins the Niagara Purple Eagles team in 2018. 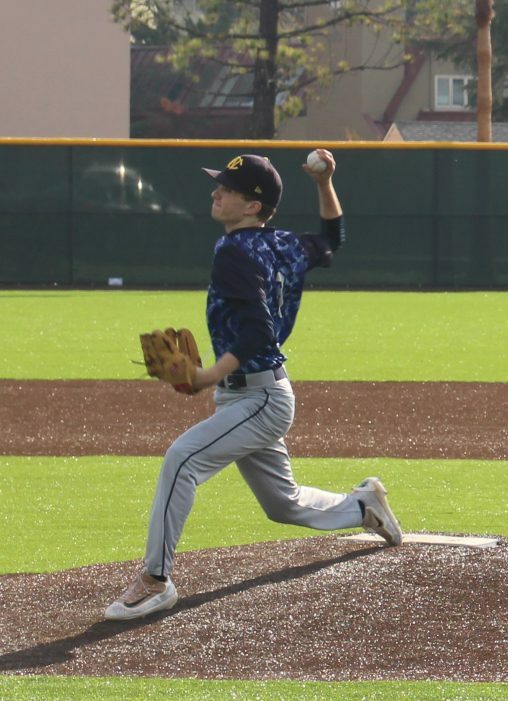 Pottgeiser of Foothill HS threw to a 2.99 ERA as a junior and joined up with 17u Elite halfway into the summer. His best start of the summer came at the Phil Singer Summer Series when he turned in a complete game shutout dominating performance. Pottsegeiser will look to be an instant impact in the Pacific Tigers pitching staff when he arrives next fall. Congratulations to California Warriors alum, O’Koyea Dickson, on his first MLB hit – a single off of San Francisco Giants ace, Madison Bumgarner! O’Koyea’s hard work and determination have paid off, and we are excited to watch him to play at the highest level! First California Warriors Alum Makes It To The Big Leagues – Dreams Do Come True! We are excited and proud to announce that after several seasons as a California Warriors player and coach, tenures at College of San Mateo and Sonoma State, and nearly seven complete seasons in the Minor Leagues, California Warriors alum O’Koyea Dickson’s hard work has paid off and he has taken the field at the highest level for the Los Angeles Dodgers. While O’Koyea has always been gifted with a veritable well of raw athletic talent, the attributes that allowed him to fight his way to the top are learned ones rather than inherent. 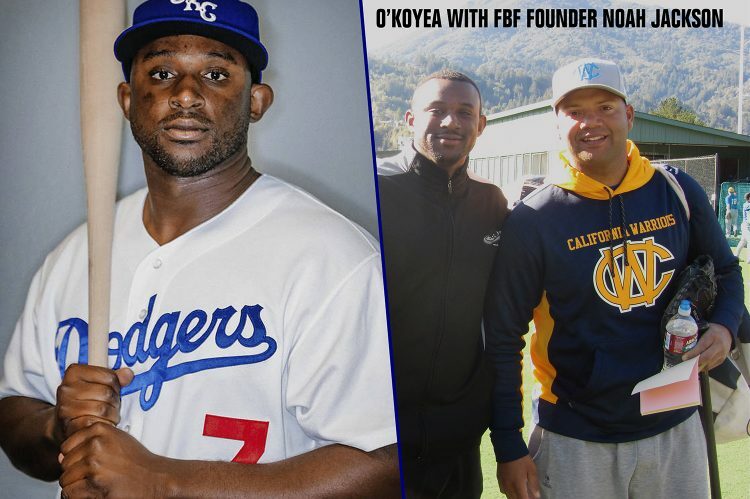 As a member of the California Warriors family who received financial assistance from the First Base Foundation in order to participate on the teams, O’Koyea has embodied everything our foundation strives for. He took full advantage of the opportunity provided to him, working hard to improve his game and empower himself on and off the field, focusing on developing his leadership qualities, and learning to set achievable goals in pursuit of a greater objective. In contributing to the First Base Foundation, you support student athletes like O’Koyea who use baseball as a vehicle to achieve success in their futures in and out of the game. Your gift to the student athletes can be designated towards the Scholarship Fund, the Coach Development Program (O’Koyea also returned to the California Warriors as a Winter Ball Coach), Travel Assistance, Administration, or can be left without a designation to be used where necessary to keep the First Base Foundation thriving. Thank you for supporting the First Base Foundation, California Warriors, and student athletes like O’Koyea – none of it would be possible without you.